Marisa Concetta is a Massachusetts native and graduated from Merrimack College with her Bachelors degree in Biology. 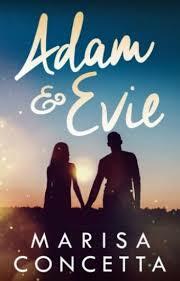 She began writing her debut novel Adam and Evie when she was only sixteen, and since then, the novel has gained nearly five million readers on both Wattpad and Inkitt where she has nearly nine thousand followers. 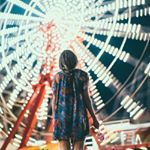 When Marisa isn’t writing - or studying - she enjoys binge watching shows on Netflix, watching baseball (particularly the Red Sox), running, traveling, and really, anything involving Disney or Disney World. There were times where I enjoyed reading Evelyn Chase's narrative; and would have been really interested if the story had carried on with Evelyn and Adam fields relationship in the limelight. I gave this book a four star rating and got a copy in exchange for an honest review.